A worrying article was published by The Guardian a few days ago. Robin McKie wrote that the United Nations had removed its support for Asiatic Cheetah conservation, potentially dooming the species to extinction. There may be fewer than 50 Asiatic cheetahs remaining in the wild. This subspecies, Acinonyx jubatus venaticus, is slightly different than African cheetahs. It has lighter-colored fur than the latter, and is slightly smaller (McKie, 2017). Asiatic cheetahs used to inhabit parts of India, Southwest, and Central Asia, but now they only exist for sure in Iran (Jowkar et al., 2008). They may soon be extinct there as well. Asiatic cheetahs are holding on by a thread: they are threatened by human hunting, habitat loss, and collisions with vehicles. Conservationists and Iranian citizens alike have tried nobly to reduce their decline, but protecting cheetahs is extremely difficult in Iran. The country is hampered by economic sanctions that reduce the amount of funding available for conservation. One of the few agencies able to sidestep these sanctions is the UN. The United Nations Development Programme (UNDP) had been helping to fund Asiatic cheetah conservation, but now they are pulling out. Their budget has been reduced, and they claim they have already made a positive difference for cheetahs in Iran. According to conservationists, this might be the death bell for Asiatic cheetahs. 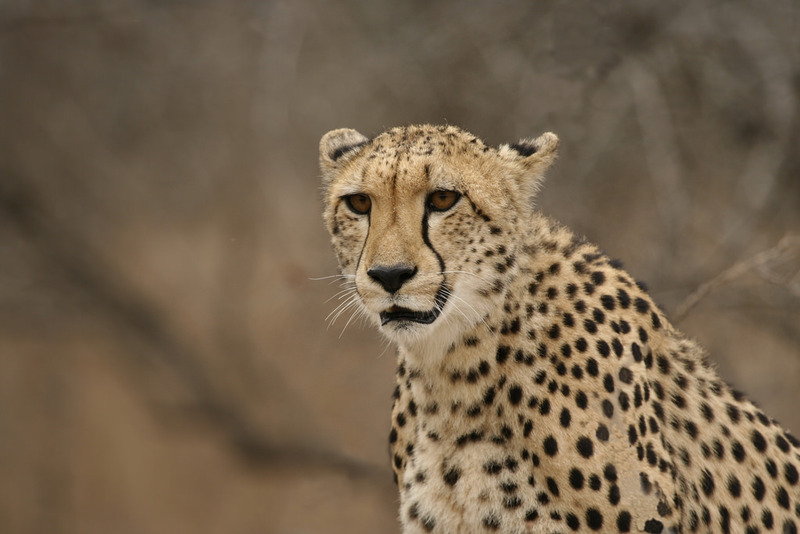 The UNDP has said that Iran must now focus on cheetah conservation by itself, but as mentioned above Iran is not exactly swimming in disposable income. Conservationists have stressed that the Iranian government must not give up on Asiatic cheetahs. There is still hope for the subspecies, but it is crunch time; something has to change now in order to save Asiatic cheetahs from extinction. Part of that change needs to be increased funding. Quite a disturbing news. Politics is ravaging conservation efforts. Politics and political corruption are probably among the most severe threats to biodiversity. Indeed. It’s hard to see how else to find Asiatic cheetah conservation, given the paralyzing effect of economic sanctions (I suspect largely from the US). United Nations… that crime organization again…sigh!! Yep. It’s great that they were willing to risk the wrath of the US and support cheetah conservation in Iran, but by ending their support they might be dooming Asiatic cheetahs to extinction. That’s abysmal news that I’m quite frankly at a loss to even imagine a response to. In theory Russia ( the only ally Iran has that seems to care much about conservation ) might try to step in and circumvent the sanctions but that’d put their own conservation links to the west under a spotlight and put them at risk. Maybe the EU stands up and grows a backbone in defending a more complete implementation of the Iran nuclear deal which was supposed to bring an end to sanctions but the EU seems much more focused on it’s own internal issues. If there was time & infrastructure I’d suggest seeing about relocating some cheetahs to Kazakhstan which has already shown some interest in reintroducing tigers there ( different corner of the country of course ) but I can’t see a viable way for people to help when the country’s under such extraordinary economic strain. It really does look like Asiatic cheetahs are in a bind. As you pointed out, there’s no easy way to get conservation dollars to Iran right now: it seems like the whole world’s political situation is a mess. It’s disheartening and more dangerous than most people realize. Our technology doesn’t make us invulnerable to the changes that are currently going on. We’re somewhat more protected in the Global North due to the colonial acquisition of other peoples’ resources, but our fate is still tied to the rest of the planetary organism’s. People are so disconnected from nature. They don’t get it. How terrible. We are losing so many species. We certainly are :( This case is an excellent example of how archaic international policies can have disastrous effects for wildlife.